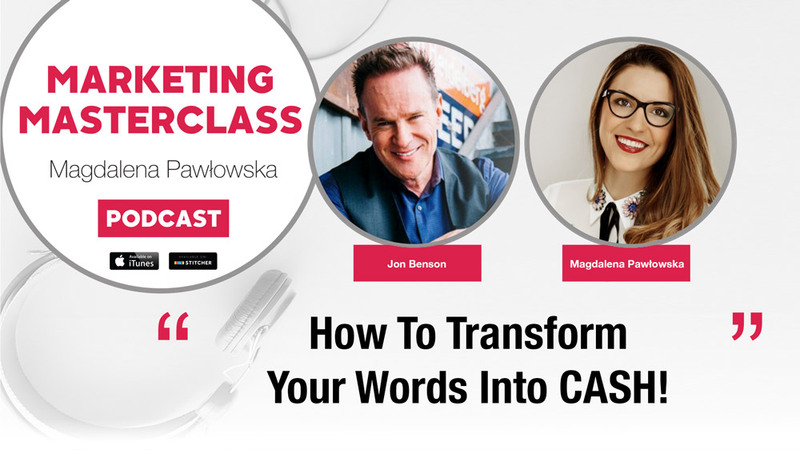 In today’s episode of Marketing MasterClass I’m talking with Jon Benson, who is the creator of the Video Sales Letter (VSL) responsible for billions of dollars in sales every year for marketers all over the world. He’s also the creator of Email CopyPro, the only email creation software designed to create and enhance your Inbox Brand while producing more sales and deeper rapport with your readers. I had the great pleasure to meet Jon in person during MFA Live in Orlando, Florida (Oct. 2017). He gave an awesome presentation on e-mail copywriting, so I needed Marketing MasterClass Nation to know his approach to marketing – here is the interview. Be passionate about what you do and you’ll inspire thousands! The strategy behind VSL – it was an accident! Plus how to work out a formula to gain people’s interest. Be innovative – it’s always about being first. Why the First 7 seconds of the video are crucial – get this right. Ask questions! This will give you answers that you need to know to win your clients. Focus on ONE – choose mailing or VSL, etc. Write to one person, one idea, one unique mechanism, one product. Find the unique language of your client.